Best known for its film studios, which are the oldest in the world, and have seen the production of major films including: Notting Hill, The Importance of Being Earnest, and St Trinian’s. Ealing is a popular West London location for both short and extended stays, loved for its leafy streets, green areas, and huge Victorian homes which line the streets. Ealing is also a fantastic area for visitors to London for its excellent transport connections into the West End, and The City, and with Crossrail arriving in 2018 this is only set to add to Ealing’s appeal. Ealing has managed to retain its countryside charm and hasn’t seen much high rise development, resulting in many Serviced Apartments being set in the large Victorian houses of Ealing, which have been developed to provide an accommodation solution for international travellers. The very authentic feel of Ealing is loved by residents and visitors alike for providing a beautiful English countryside feel, within touching distance of the large structures of The City and hustle and bustle of the West End. Ealing is an easy location to call home during your stay. Although it doesn’t have the bright lights of the West End, Ealing is a very important and active area in the arts. From being home to the world’s oldest film studios, to Ealing Art College who have well respected Alumni including Freddie Mercury of Queen, and Ronnie Wood of the Rolling Stones. The Questors is also based in Ealing, and is one of the largest amateur theatres in Europe – staging around 20 productions annually. During your serviced apartment stay in Ealing we would thoroughly recommend that you visit the OPEN Ealing Centre which showcases exhibitions and performances by both established and up and coming artists. Enjoy a bite to eat before at Charlotte’s Place Restaurant which was crowned Good Food Guide Readers London Restaurant of the Year in 2013. Without a doubt, however, summer has to be our favourite time of year in Ealing, with the Ealing Lawn Tennis Club and a wide range of summer activities including: Ealing Blues Festival, Ealing Jazz Festival, Ealing Comedy Festival, and Ealing Beer Festival. Beautifully presented One, Two, and Three Bedroom Apartments located in the popular West End location on Ealing. Situated in West London, leafy Ealing is known as the “Queen of the Suburbs”. 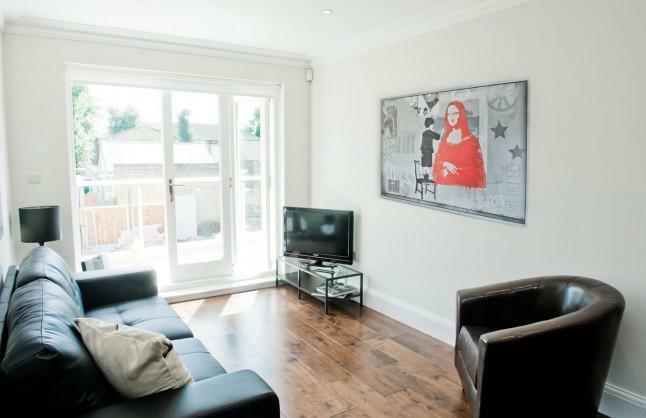 Ealing serviced apartments are located just a short..